Wrestling is made up of moments. You may not remember every scoop slam and armbar that a match entails, but you do remember those times that a well-done story hits a pivotal point or peak. One such moment for me was the events that led to the 2000 Royal Rumble and the street fight between Triple H and Cactus Jack. I loved watching the conniving preening Stephanie McMahon helping Triple H and DX out of trouble and vice versa. It was a memorable time in my life as wrestling had only recently become mainstream in the UK again after Channel 4 acquired the rights to air Sunday Night Heat. Oddly, prior to this, bringing magazines to school depicting sweaty men in pants grappling each other didn't make me that popular. 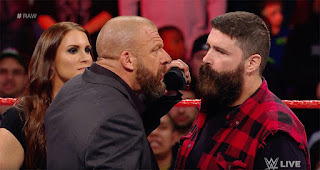 I was reminded of such times this past week on Monday Night Raw when Mick Foley hit the Mandible Claw on Triple H, and Stephanie McMahon hit the low blow to free her husband from Foley's sweaty sock covered clutches. For one brief moment, I was transported back seventeen years ago. The time on screen may have lasted all of a few short seconds, but it was enough to bring me back to that happy time. 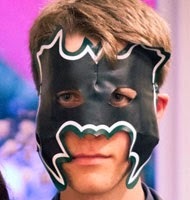 We all have our special wrestling moments tied to certain points in our lives. This era and angle was one of my mine, and I am so pleased WWE briefly indulged my inner twelve year old once more. BONUS POP: SPW Debuts — WWE put out four episodes of a new YouTube miniseries entitled "Southpaw Regional Wrestling." The spoof '80s wrestling program is being called better than Raw by many across social media. It is unclear if there will be any more, but I sure hope so. Find out why here. 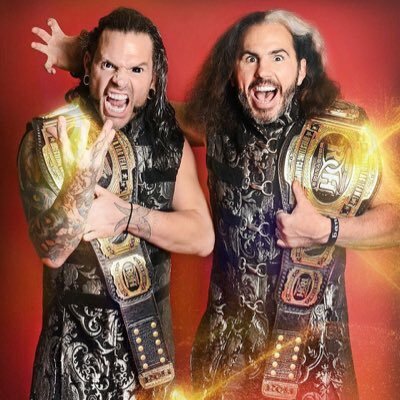 There has been much talk this week over the actions of TNA trying to claim copyright over the Broken Universe concept. According to Reby Hardy, the company (now believed to be trading under the name OWL wrestling, possibly?) has been sending letters to other promotions threatening them with legal action if they broadcast any segments that involve Broken Matt or Brother Nero. Frankly, this smacks of little more than them throwing toys out of the pram. They had every chance to renegotiate contracts for the brothers, but failed, thus allowing their biggest money-maker in years to become free agents. Furthermore, what do they hope to achieve by acquiring the broken universe IP minus The Hardyz? The idea that anyone else could be given the Broken gimmick and accepted seems far sillier than anything Matt Hardy has ever come out with. This also calls into question what would happen should Matt and Jeff return to WWE. There has been much speculation over whether it would be under their Team Extreme moniker, or in broken form, but at this rate, there may not even be a choice in the matter.